Goldilocks and the Wild Bears Video Slot is a game that initially saw the day in 2014. 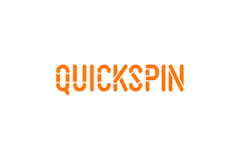 But in July 2017 QuickSpin decided to give this slot an HTML 5 facelift which resulted in a re-launch. As you probably guessed it, the storyline is based on the tale you know well. And thanks to the enhancement QuickSpin made, this game is even more immersive than ever. In fact, if you choose to play this game in a mobile casino, you can play this slot on portrait or landscape mode. Goldilocks and the Wild Bears is actually quite an unusual game because this slot has two progression features. The first progression feature is in the base game, and you’ll climb the multiplier ladder located on the left-hand side of your screen when Wild multiplier symbols land on reels 2,3 and 4. The Wild multipliers in this game are a bowl of porridge. So make sure you don’t confuse the symbol with the standard wilds which is the bear’s house. The second progression feature in Goldilocks and the Wild Bears is in the Free Spins bonus. Which means that you’ll first need 3 Goldilocks Scatter to land in view to trigger the progression feature and the 10 Free Spins that comes with it. To sum up, the Wild Bear Progression feature is on the right-hand side of the reels. And this feature will not only reward you extra wild symbols but can also give you extra Free Spins. You’ll climb the different levels of this feature with the help of Goldilocks symbols. In fact, every time the little girl lands on the reels, she’ll tease the bears, and they’ll eventually turn wild once a level is complete. Goldilocks and the Wild Bears is a great game to play. Indeed, in case you missed it this game has 5 Wilds symbols! Which is a great thing especially if you take into consideration that the Wilds are the highest-paying symbols in the paytable. But let’s not forget that this slot has an RTP which is higher than average. So, you can have a long casino session even with a small deposit if you pace your bets, of course! All and all, after testing this slot we have to admit that the level of balance between features and payouts is impressive. So, for that reason, we’d definitely recommend you to have a spin on this slot! Have fun!